You can very easily send fax from Android device, should it be phone or tablet. 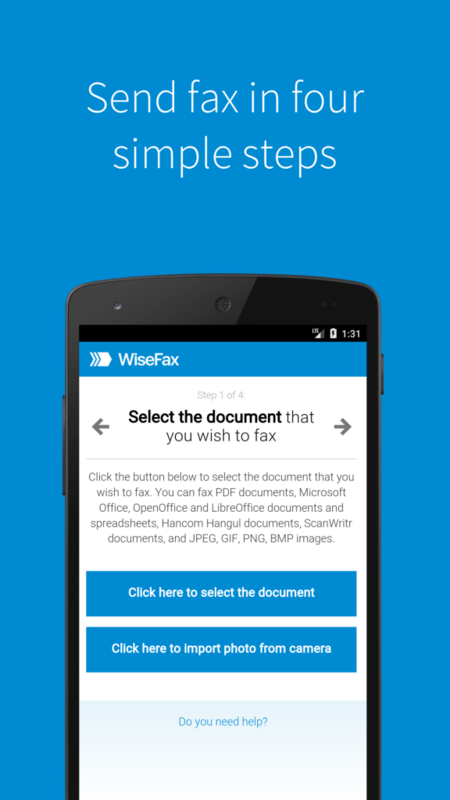 All you need is WiseFax application for Android, found in Google Play. 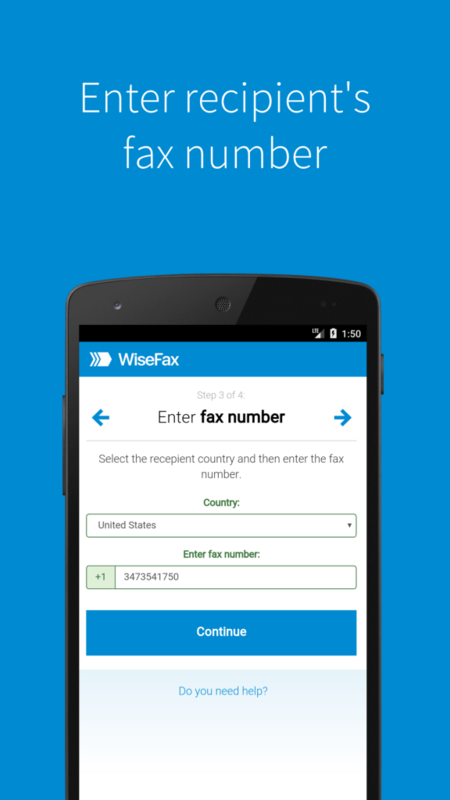 This article will teach you how to send fax from Android with WiseFax. Open Google Play WiseFax app link, then click the Install button. 2. 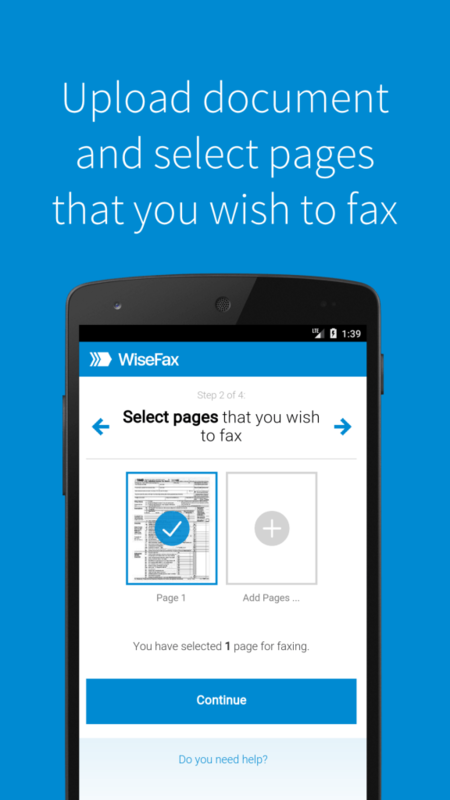 How to send fax from Android with WiseFax? 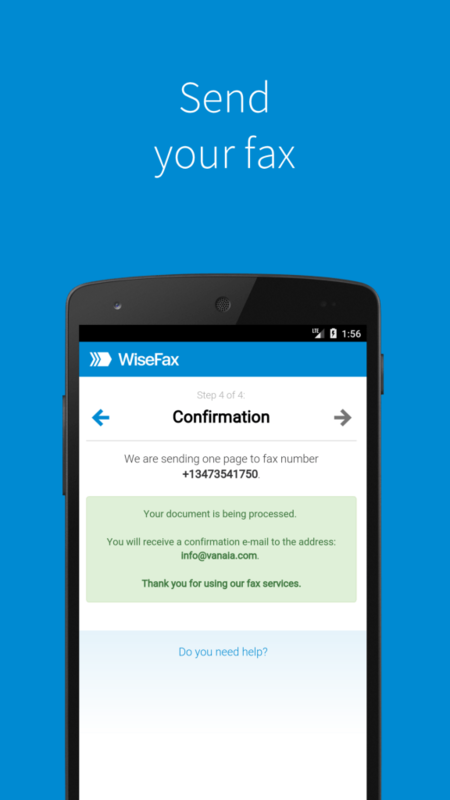 Once you have installed WiseFax application, open the application and start sending faxes in just few simple steps. You can select an existing document or make a new document by taking a picture of it by importing photo from camera. In this way you can select one or more documents to send all documents in one single fax. After selecting all your documents and photos click Continue to confirm selected documents. Then Enter fax number of the recipient in the next step and click Continue.